Looking for a property to rent but have no idea where to start? Don’t go into renting blind and end up living in a property you are not entirely happy with. Recognise and remember what it is you are definitely looking for within a property, as well as selecting certain features you are happy to compromise on. If you’re still not sure what to start with, we’ve put together a list of common features that make or break a renting agreement between tenants and landlords. Is the property in the area you want? Let’s complete offer a huge range of properties within Coventry so you can find your new home within the town you love. Proximity to key places is also worth considering, for example if you study or have children, will you need easy access to local schools or universities? Checking the distance between these places and you new home can help you make a decision about whether the property is right for you. Do you require somewhere to keep your car overnight? Not all buy to let properties come with parking space available at the residence. You may need to be prepared to leave your car in nearby streets or parking facilities so checking this availability is a must. In need of some outdoor space? If you need some room for your pet to run around, or simply enjoy a bit of gardening a property without a garden may not suit your lifestyle. It is best to stick to looking at houses or ground floor flats if this is a feature you require. It may seem obvious, but having enough space for your lifestyle is important when choosing your place of residence. Take into account the amount of rooms you need, whether they are for family members or even office space if you work from home. The amount of space you require depends entirely on how you plan to use the home. A majority of renters are looking for unfurnished properties, but are you? Knowing if you need a place with all of the basic features included or if you would rather add them yourself narrows down your property search dramatically. Allowing you to only see homes that fit into one category. So while you are looking for a property in your local area, use the best Letting Agents in Coventry to ensure you are being provided with properties that are checked and suit your needs. 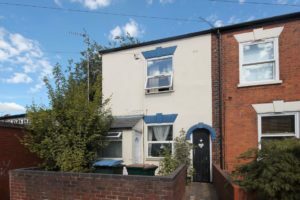 Renting within Coventry is our speciality, so to find a property fast take a look at our property listings.